Polaris has been appointed to provide marketing services to well-known south coast company Marine Components International, based in Poole. Led by Andy Scott, who Polaris worked with for three years at Liverpool’s International Safety Products , MCI has major plans for growth across a range of products aimed at the superyacht, boat building and shipyard sectors. Brands Polaris will be promoting include US manufacturers Bennett Marine and Groco while MCI’s customers include Sunseeker and Princess Yachts. The Polaris team will be providing MCI with a new website, logo, marketing materials and publicity in international maritime press and UK media. 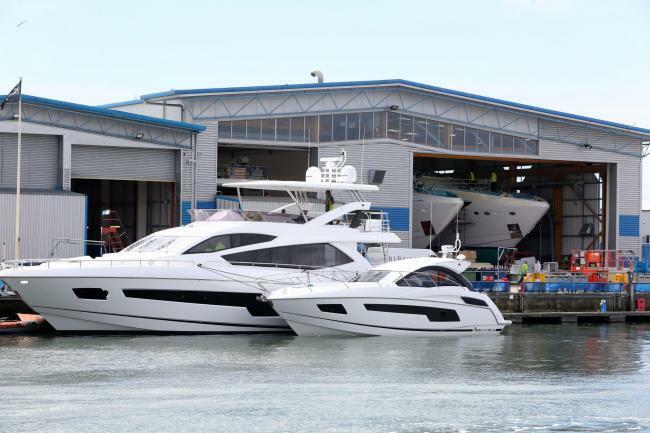 Picture of Sunseeker boat building yard in Poole Dorset Echo. Previous Post Polaris provides PR & film for Cammell Laird Red Funnel ferry launch Next Post Blog: Is your company bigger than what you do?